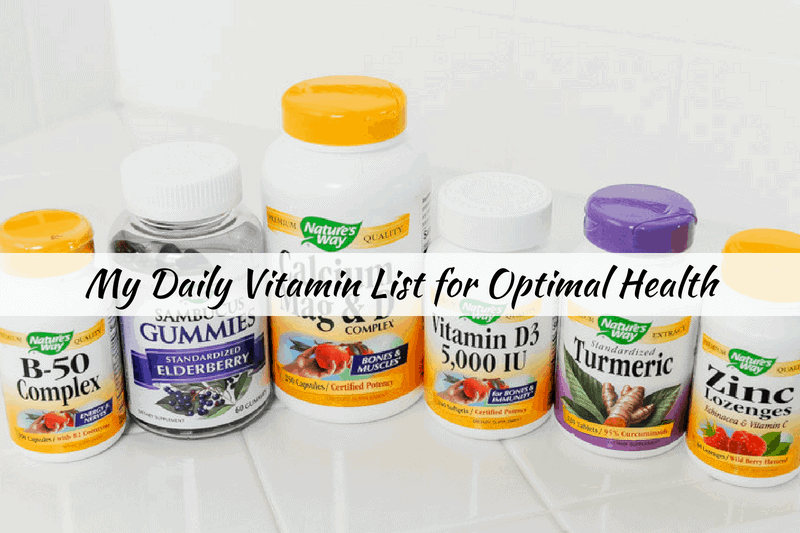 I’m sharing a few of my daily list of vitamins & supplements as well as what I use for vitamins for acne and vitamins for stress! Sometimes vitamins for women can be overwhelming but it’s always important to chat with your doctor and find out what might work for you! Disclaimer: The information contained here is for informational purposes only. This information is not intended to be medical advice and is solely based on my own experience to use vitamins for my personal health. I am not a licensed psychologist, nutritionist, physical trainer, or health care professional. All readers should consult with their healthcare professional before starting any nutrition or exercise program. 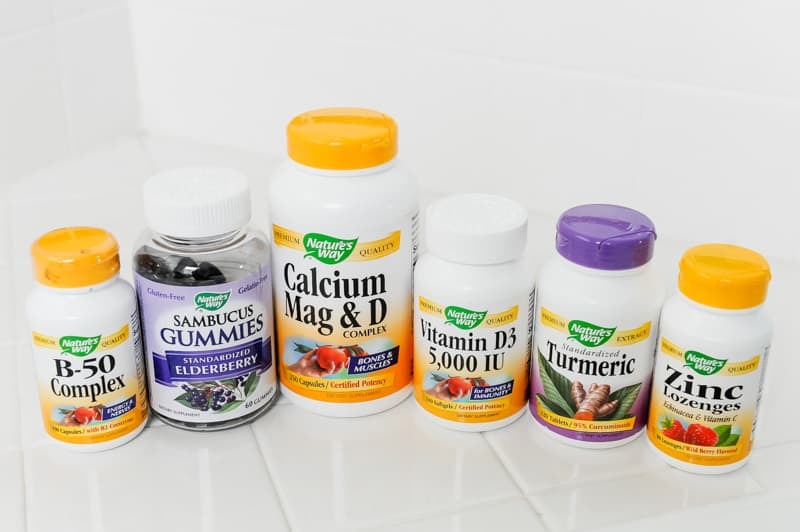 I’m always on the hunt for vitamin supplements to enhance my wellness journey. 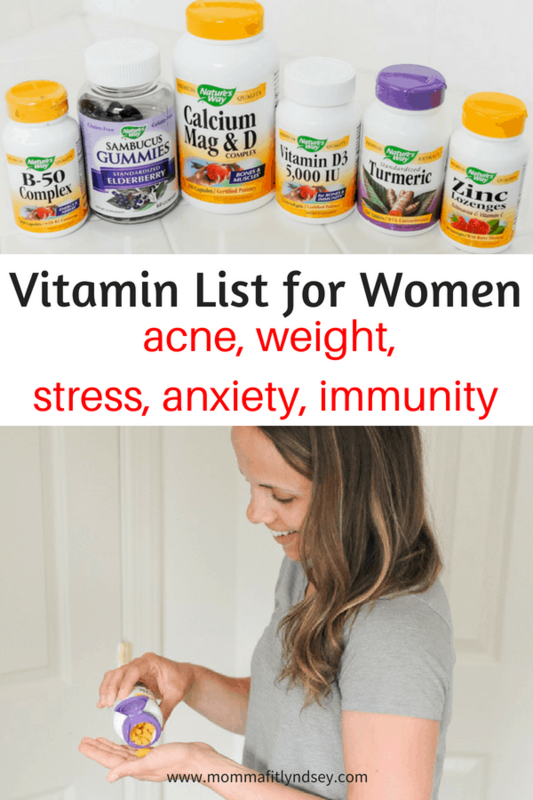 I suffer from hormonal acne and anxiety so those are two areas I knew that vitamin supplements could help me with! Natural supplements are something I would prefer to rely on rather than medicine when possible. I am a huge believer in finding the root cause of the symptoms I’m experiencing. Vitamins and supplements have been very helpful in alleviating many symptoms. 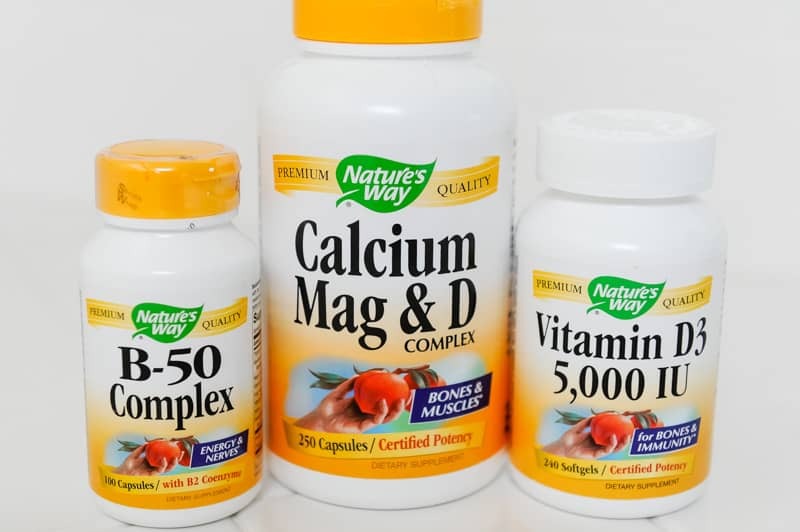 In addition to a multi-vitamin, I take Calcium Mag & D, B-Complex, and Vitamin D3 daily. I use a calcium supplement because of my family history of osteoporosis and low bone density. Since I tend to avoid much dairy I choose to supplement with calcium. I’ve struggled with adult acne since I became an adult. Ironically my skin was clear as a teenager! After researching that a B-complex vitamins, I saw that they are essential to our nervous system. They also manage our hormones and proteins. 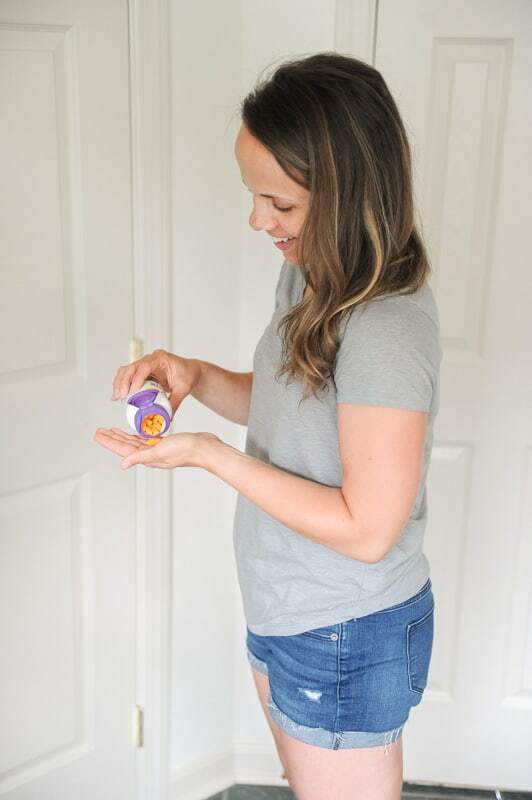 Between anxiety, hormonal acne and managing my weight over 30, my B-complex is the best supplement for stress and anxiety that I’ve used! Vitamin D3 is a newer add to my vitamin supplements. After having routine blood work last year, I found I was very low in Vitamin D. Not uncommon for those of us living in Pennsylvania! Vitamin D3 increases calcium absorption and supports immunity. It’s a perfect complement to calcium for bone health. With school-aged kids it seems my immunity takes a hit a few times a year. Taking a sick day just doesn’t happen so I work hard to care for my immunity year-round by getting enough sleep, eating enough veggies and healthy food and staying physically fit. Sometimes you just get sick! I’ve been taking zinc lozenges at the onslaught of cold symptoms and it has really helped. Zinc battles the common cold so using them when I first start to feel sick has been really helpful in preventing a full blown cold. Completely new to me is Elderberry! I’ve heard such great things about elderberry for healthy immunity. 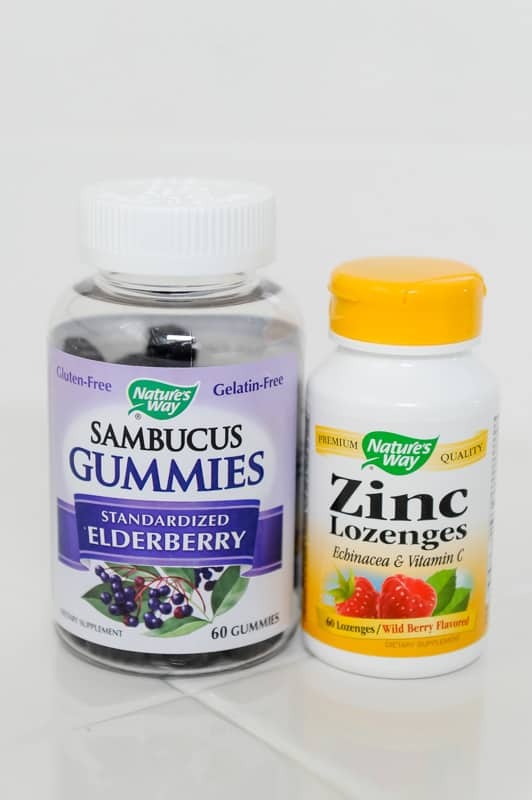 I will be adding Nature’s Way elderberry gummies to my immunity regimen. I decided to add a new vitamin to my daily list of vitamins. 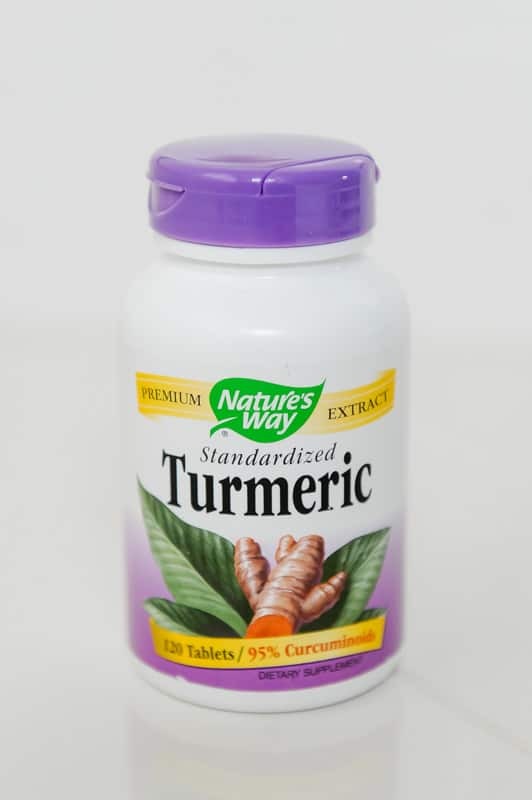 Turmeric has a whole list of benefits including weight management, anti-inflammatory, digestive help, heart health. I ordered my supplements and vitamins from iHerb. The website was super easy to use and select my vitamin supplements! I was impressed by the quick shipping when my box of supplements showed up at my door a few days later! iHerb carries over 400 Nature’s Way products that can be shipped to over 160 countries and their customer support team also provides support in 10 languages. You can try iHerb and new customers can get a discount plus an additional $5 off their iHerb order of $40 or more by checking this out!